The rush of Fall wedding season is upon Nashville, and it all comes down to this. Have you booked a photo booth for your event, yet?! It seems like an eternal search on Google when you look for “photo booths”. So many different styles, so many different sizes and so many different pricing options; how does anyone ever decide? If I may, allow me to explain some of the differences and why all photo booths are simply NOT the same. Ultimately the goal with any photo booth is to have a product that allows your guests to take pictures and print out those pictures relatively quick and with high quality. I feel confident that just about any booth you choose will have those two features. Very similar to choosing fast food such as McDonald’s or fine dining at Kayne Prime, there are differences. Both of them do provide food in a relatively quick fashion but with varying degrees of quality. McDonald’s uses cooks to prepare their food. I translate that as they have trained someone to specifically warm up and prepare the food as stated on the corporate menu. Kayne Prime employs a chef who went to a culinary arts school to master the craft of food preparation and cooking. The chef understands temperatures, timing of cooking the perfect meal and of course the final preparation. McDonald’s is simply looking to deliver a quick meal and they are not so worried about the perfect taste or the final preparation. So what are those differences in the photo booth world? If we all agree that most people are at least using high quality products, we must now look deeper to see how they are using them. Does your booth come with a full time attendant who has worked the booth and can overcome any potential issues…it is a piece of technology and issues will arise, are they prepared? Will you have the availability to print in both color and black and white? What will the print outs look like? Do they use graphic overlays or font only for the print out? Can the booth be integrated with social media? Can you print pictures from Instagram? How will the pictures be delivered after the event is over? This is where you can start deciphering the differences between your photo booth vendors and make the best decision for your event. I cannot answer for all of the other vendors out there, but I can offer our answers and why people trust our team to provide over 200 events annually. Every booth we send out comes with a trained attendant who has used the software multiple times and in multiple formats. Each attendant is fully aware of how to problem solve simple and complex issues should they arise. We offer a monthly team meeting and weekly learning sessions for our team to constantly learn. Additionally, we attend and speak at national entertainment conferences for our peers which allows us the highest level of insight and education. All of our booths have the option for you to print in either black and white or full color. All of our print outs are customizable and created by professional graphic artist using the best tools in the business. We can print out traditional photo strips or we can even print out post card style media. Either option is available to you at your special event. All of our graphic work is included in the total price of your rental! Regardless of the style of media you choose, our booths will always print out TWO copies. One will go to your guests and the other copy can go to your scrapbook which is also included in your rental. At the end of each event we will provide a digital memory key with all of your photos stored in digital files. We even archive them for three months as a free service. 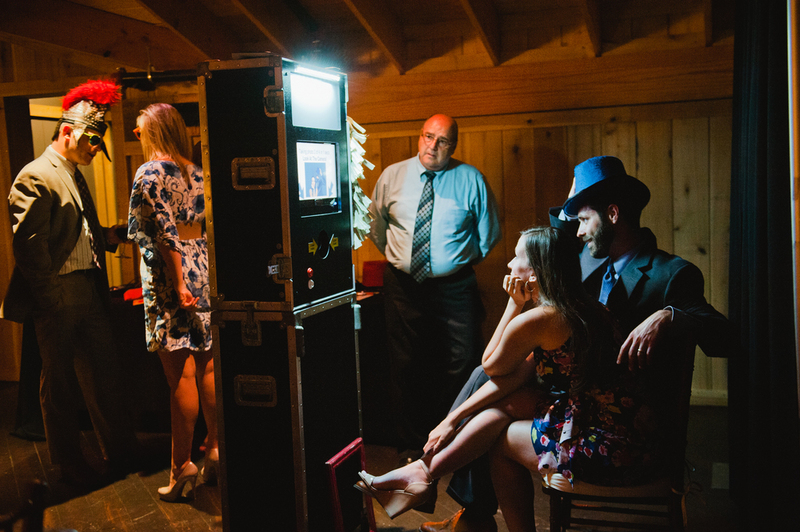 Click here for additional ideas on how to use your photo booth at your event. Finally, we do have the option to connect with social media. Our exclusive Instagram Print Station allows us to utilize hashtag (#) marketing and stream photos from the booth to the Print Station. This option does require an internet connection to work and is one of our most popular options at events. We listed out a few thoughts and questions for you to ponder when choosing your photo booth provider. Certainly we would love to be your trusted partner for your event on many levels…but the question comes down to this. Are you okay with McDonald’s, or would you really prefer Kayne Prime?